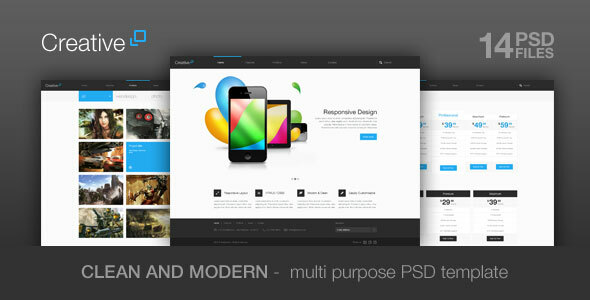 Creative - Themeforest Multi Purpose PSD Theme - This is a template for web business. Clean and modern with 3 type of portfolio. BONUS : One Page Template is included.